Read up on some things to know before beginning a new fence installation project. Have you been fantasizing about the perfect fence to add an interesting element to your yard? Are you considering addressing security concerns by putting up a fence? As with any renovation project, a new fence installation takes some careful consideration and planning. Let’s explore some considerations to take to heart and questions to ask before installing your new fence. Consider your motivations for having a new fence installation in the first place. Having a fence for purely security or privacy purposes might make a difference when it comes to choosing what kind of material to use. If your fence is purely for security, you might want to consider sturdy and tall materials to keep people out like custom wood fences. Consider your surroundings, not only the colors around you but also your neighbor’s yards, and look at different options that may best fit your area. Aesthetic appeal can help in the future when it comes time to sell as well. Brush up on local building codes in your area to find out if your community restricts the use of certain materials, or restricts how you build your fence. If you are a part of a Home Owner’s Association make sure to read the small print to ensure you’re not breaking your contract. CC&R’s (covenant, conditions, and restrictions) are likely going to be in your HOA contract. 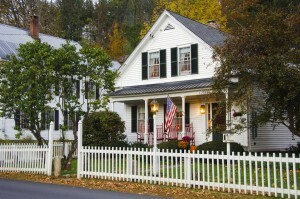 In some cases, fences may need to be only a certain material, color, or height. While most people think property lines are pretty obvious, this is a relatively common issue that arises when starting a new fence installation project. Do you know where your property ends? The answer may surprise you when you actually look into it. Looks and assumptions can lead you to encroachment on your neighbor’s property. Hercules Fence Northern Virginia has countless fencing options for your commercial property and home. Whether you are looking for the perfect touch to your yard or you are already in the midst of planning a new fence, we are ready to jump in and help bring your vision to life to frame and secure your property. For over fifty years Hercules Fence Northern Virginia has been providing homeowners with quality fencing. We are well equipped to meet your residential or commercial needs. Contact us to see how having a fence can protect and enhance your property by giving us a call at 703-551-2609 or visiting us online. To see examples of our work follow us on Facebook, Twitter, Google+, LinkedIn, Pinterest and Flickr. This entry was posted on Friday, May 19th, 2017 at 6:55 pm. Both comments and pings are currently closed.